Rehabilitation Services: Woodlawn offers the most current therapies and treatments as part of its overall Rehabilitation Services. Comprehensive services include Physical Therapy, Occupational Therapy and Speech Therapy. 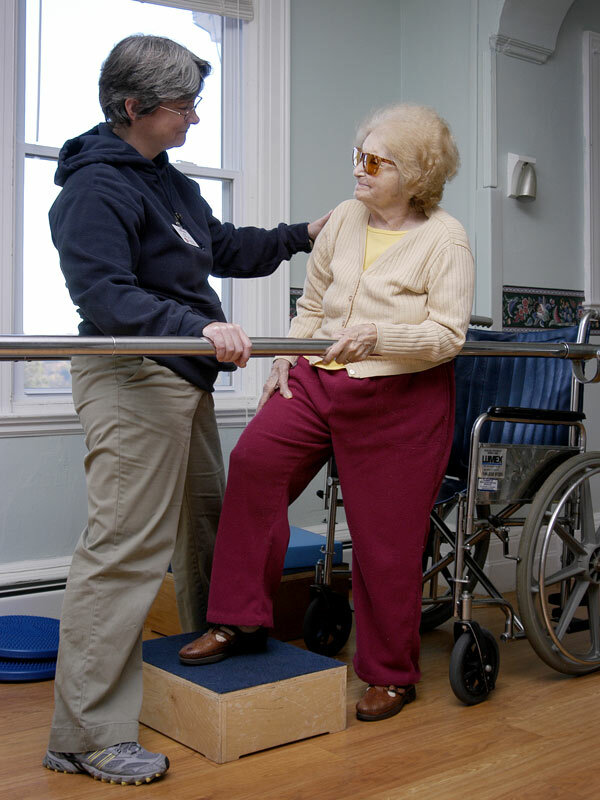 The rehabilitation team at Woodlawn develops individualized goals and treatments plans. Each plan is designed to maximize our resident independence, allowing them to return to their level of fitness and activity prior to injury. The physical therapy staff works to restore normal functioning, while addressing pain, muscle weakness, loss of motion, or lack of coordination and balance. • Have received Medicare Part A benefits in an acute hospital or skilled nursing center in the past 30 days. • Require rehabilitative services and/or skilled nursing care on a daily basis. • Have days remaining in the skilled nursing Medicare Part A, 100-day benefit period. • Have physician’s orders for readmission.